IF YOU WERE FACED BY THE CHOICE OF SPENDING THE REST OF YOUR DAYS LISTENING TO A SINGING DOG f OR RISKING THE CONQUEST OF HUMANITY BY A STRANGE WORLD OUTSIDE OUR WORLD, WHAT WOULD YOU DO? It was about eight-thirty in the evening, just getting good and dark for June, when Doc MacGuinness came rushing down to my shack at the foot of the mountain. I was sitting out front on a bench with my pipe, smoking and listening to the whippoorwills calling each other out on the pine slopes and broom-sedge flats. A big white moon was rising in a sky full of stars that burned as bright and clear as Christmas-tree bangles, and the summer air was soft as silk and sweet with the smell of sassafras and honeysuckle. 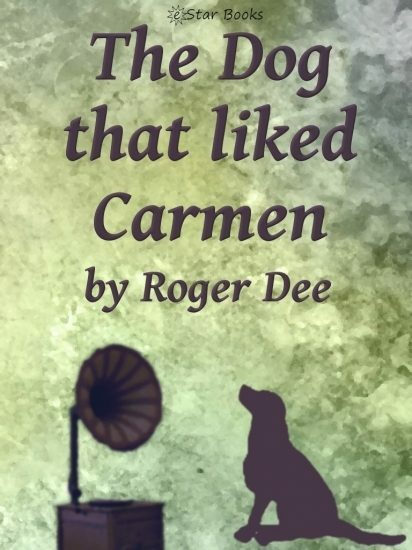 The only off-key note in the night came from Doc's cabin up the mountain, where Claude was playing an opera named Carmen on Doc's phonograph and howling his head off. Carmen was Claude's favorite, but he wasn't making much headway with it; he still sounded pretty sour on the high notes. I had expected Doc to be surprised. When he came back from visiting his sister in Washington and found out about Claude and the others, he was bound to be taken aback, so to speak, but I didn't figure he'd take it as hard as he did. Maybe Doc was still edgy from the nervous breakdown that had brought him down this way originally he used to be an electronics expert in guided missiles research with the Army, until the strain got too rough and his doctors sent him here to fish and recuperate. Doc had liked it so well that he never went back. He and I had got to be great friends, and saw eye to eye about most things. We were both what Doc called congenital philosophers, for instance. We agreed from the first evening I went up to play checkers and drink his bourbon that the world was cockeyed and that nobody but us knew what was wrong with it. But Doc wasn't in a philosophical mood when he reached my shack that evening. To tell the truth, he was fit to be tied. "Either I have just suffered a thundering relapse," Doc panted, '"or I have come home to find myself the owner of a talking dog. Charlie, you looked after my place during the week I was away. What the hell has been going on up there?"